BREXIT: 670.000 MARCH IN LONDON…an estimated 670,000 people marched today in an anti Brexit London march. 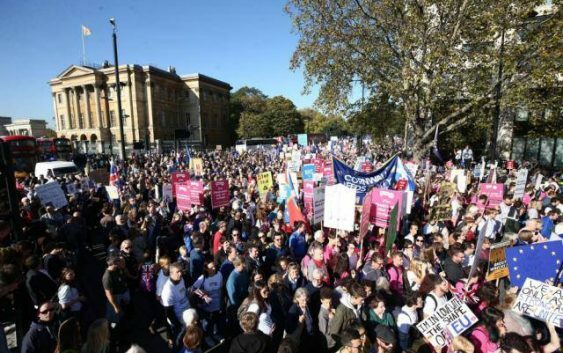 In a tweet, the organisers wrote: “670,000 are on the #PeoplesVoteMarch demanding a #PeoplesVote on the Brexit deal.” The protest was expected to have just about 100,000 people but organisers estimate the crowd well over half a million 670.000 calling for a fresh referendum. ‘FORMER LIB DEM LEADER AND ALSO FORMER BRITISH VICE PM, lands six figure Facebook Job at Silicon Valley , Carlifonia USA’ .